Snowboarder's Liver Transplant Revs 'New Engine' Snowboarder Chris Klug's career almost ended after the 1998 Olympics because of liver disease. But he got a transplant a decade ago, and went on to take a bronze medal in 2002 — likely the only Olympic medal won by a transplant recipient. Now, Klug is back once again for the Vancouver games. Snowboarder Chris Klug won a bronze medal in parallel giant slalom at the 2002 Winter Olympics in Salt Lake City, Utah. At 37, Chris Klug is the elder statesman of the U.S. Olympic snowboard team. 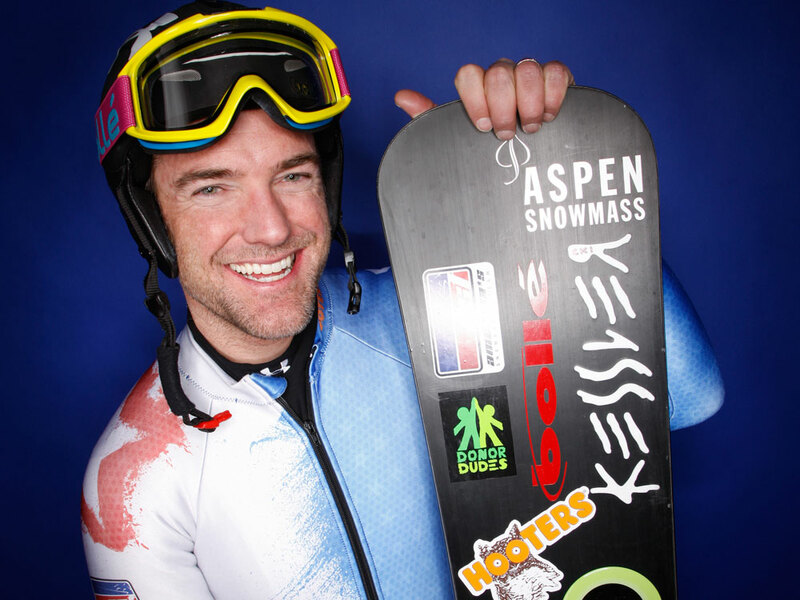 He's also believed to be the only transplant recipient to ever win an Olympic medal (a bronze in parallel giant slalom at the 2002 Winter Olympics in Salt Lake City). In the late 1980s, Klug helped establish the growing sport of snowboarding, and he was there for its Olympic debut at the 1998 games in Japan, where he took sixth place in Alpine snowboarding. But what the world didn't know then was that Klug was fighting a life-threatening liver disease. "When we think of '98," says Klug's mother, Kathy, "we think of it with these great mixed emotions — of joy of him realizing his dream and then the sort of realization that this was a dream come true and perhaps the end of his career." Just two years after the games, Klug was weak, jaundiced and near death. He was on the high-priority wait list for three months before a suitable liver donor was finally found in 2000. "I felt like they dropped a brand-new engine in me," Klug says. "I'm way healthier and way stronger than I ever was before my transplant and very grateful for that and grateful to my donor for my second chance." One of the first things he asked after surgery was when he could get on a snowboard again. A year and a half later, he won the bronze in the 2002 Olympics. The International Olympic Committee believes he's the only transplant recipient to win a medal. And now he's focused on Vancouver. "Having the opportunity to return to my third Winter Olympics and contend for another medal is something personally I really wanted to do," Klug says, adding: "Hopefully, a different color." Klug's coach, Rob Roy of Bend, Ore., has been working with him for more than two decades. "I would just like to have him stand in the starting gate and just think to himself, 'This has been an incredible ride,'" Roy says of his approach to Klug's performance in Vancouver. "The fact that he's a mature athlete, the fact that he's been through so many things, including his liver transplant, for him to come back and fight his way back to the Olympic team, in and of itself, I think, is just incredible," Roy says. "But beyond that, I think he has a legitimate chance of being on the podium." But the opportunity to take home a medal during Saturday's snowboarding event isn't the only reason Klug is competing in his third Olympics. "I was kind of on my death bed one day and out riding my snowboard less than two months later," Klug says. "One of the reasons I really wanted to return was this amazing opportunity and platform to promote life-saving donation." Mitzi Rapkin reports for Aspen Public Radio.